There is better opportunity for those who are applying under the Employer Nomination Scheme, Sub-class 186 Visa for immigration to Australia. The basic reason which has driven the trend is the need of skilled workers in specific domain in the economy. To cope up with the pressure and reduce the bottlenecks, the Department of Immigration and Border Protection (DIBP) has made ways for the skilled through the Sub Class 186 Nomination Visa. Precisely, speaking about the immigration to Australia, it has definitely found itself under scanner due to a great deal of asylum seekers and boats capsizing and immigrants getting drowned in the Australian waters. So far, somewhere around 1,200 people have been affected by the alleged strict immigration policies of Oz. There has been an extensive debate and discussion over the immigration to Australia and there has been also consensus on the trends in the immigration in Australia. The election is very close and the topic of immigration would definitely occupy a center stage in the country. Like, in the US which is going to witness the Presidential election in November 2016, Australia, too, would have election this year, and it would be interesting to see how the parties respond to the election issues. Amid so much of chaos and commotion in the immigration realm, it would be technically difficult to rule-out the policies which would be shortly adopted in the immigration. The Prime Minister of Australia, Malcolm Turnbull has reportedly said that the Australian people are not against humanity. However, there is also a limit under which the generosity can be delivered, and beyond a certain point, it would be hard to be generous anymore. The premier gave this statement in the context of a large number of boats capsizing in the Australian waters and the passengers in the boats seeking for asylum. With respect to the skilled migration, there has been no change in the attitude, and the country has been open to welcoming the skilled minds, to bring about a change in the economy. So, they have recently announced a Skilled Occupation List (SOL) of Australia, and those individuals who were looking for movement can co-incide their job specification with the skill list given below. You can instantly click on this http://www.sbs.com.au/yourlanguage/punjabi/en/article/2016/05/17/australia-releases-new-skilled-occupation-list and check your skills today, and if they reflect in the list then the movement can be easily streamlined. Immigration Minister Peter Dutton has reportedly stated that visa frauds have been a challenging aspect in the immigration even while it needs to be effectively handled. Hence, there has been a huge sum of US$99.2 million invested to root out any inefficiency in the visa processing. Under the new scheme, the staff members in the immigration department would be able to assess travelers, and it would provide them with better opportunities to track down unnecessary events and keep a close look at immigration which have happened without proper assessment and evaluation. The immigration to Australia through employer nomination scheme is the best alternative which can be rightfully taken. The process of evaluation and checking solely lies with the employer, and the immigrants can easily move without any hassle. If you are looking forward to apply for this visa, take a look at few of the FAQs which one should know in the first place. Q.1. Can an immigrant contact DIAC for enquiring about the status of the visa? Ans. 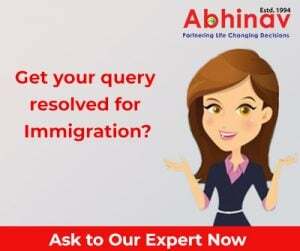 As an immigrant, one can certainly contact the body and get the latest updates on the immigration application. Q.2. There might be a situation where the prospective immigrant has hidden something and it might lead to a situation in the future? How to deal with such situation? Ans. If the applicant has hidden some information, upon getting verified and tracked down, it may lead to drastic consequences. Given this, it is better that the candidate discusses with the employer.